ï»¿ Custom T-shirts, Apparel, Business Cards, Auto Tags & More! 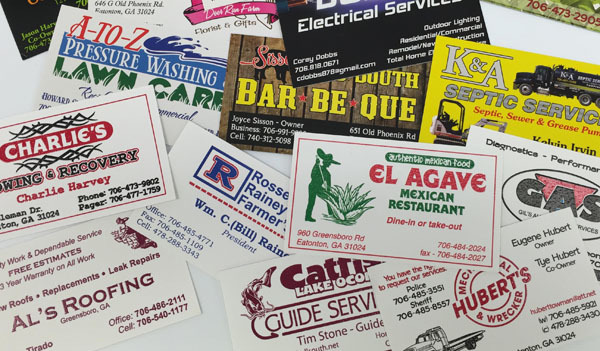 Custom tshirts, apparel, business cards, auto tags & more from Signs of Dixie. 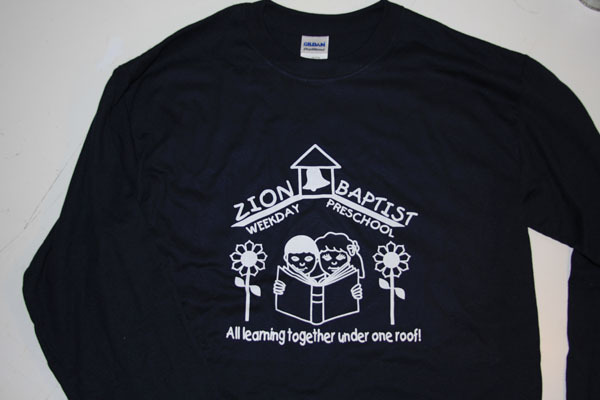 We can customize shirts for your business or for your next big event! We specialize in short run transfers. We use commercial grade iron-on material and a heat press which gives us the ability to do quantities of 12 or less at reasonable price. For those larger orders we offer screen printing which is the most economical for orders over 24 garmets. Check out our online catalog at the link below. 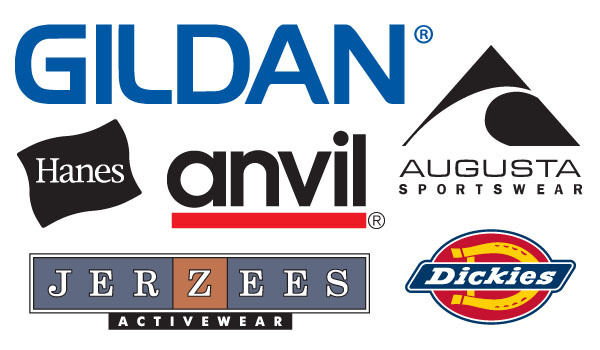 We offer a wide variety of apparel. The most popular brands of t-shirts, polo shirts, baseball caps & more! Custom designed business cards. We dont use templates, every card is custom designed to your specifications! Custom Auto Tags made from .040 aluminum, not the thin stuff that wont hold up! Also polystyrene drive out tags available.